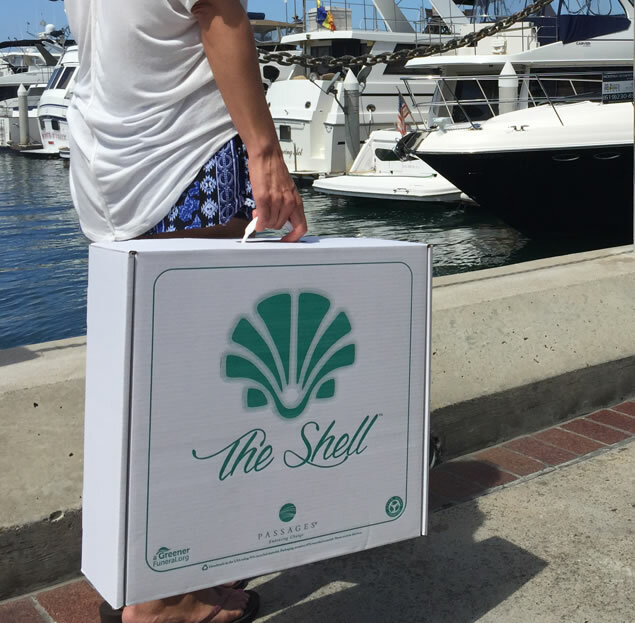 The Shell Deep Water Bio-Urn in Aqua is designed for water burial and is fabricated by hand from non-toxic recycled paper and colored with non-toxic dyes in shades of aqua and blue. 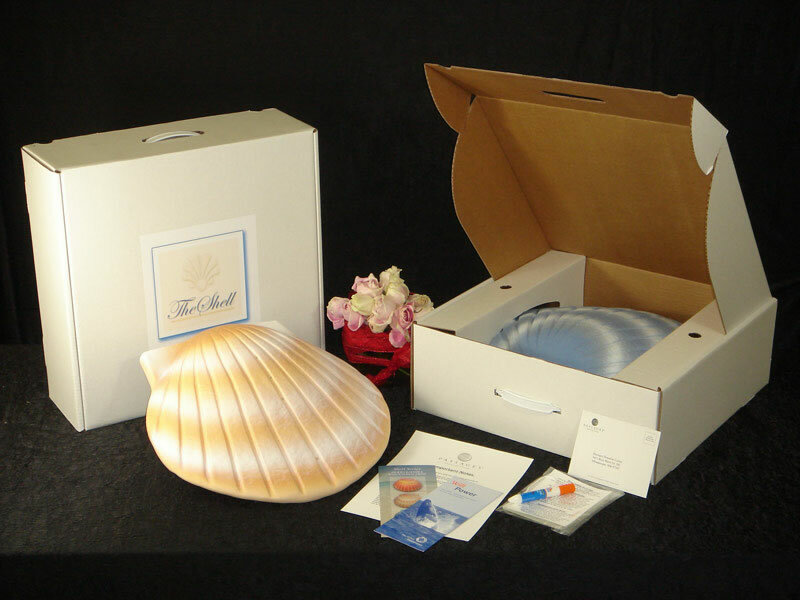 Each urn comes with a water-soluble plastic bag into which the cremains must be placed before placing them in the shell. The urn is biodegradable and will degrade naturally over time; it is engineered to float for approximately five minutes before gracefully descending to the depths of a lake or the ocean. The urn exceeds the durable container and TSA airline carry-on requirements. A carrying case is included for transport. Click on Detailed Images for a view of the shell and the carrying case.